Multi-Point Locking – what is the Point? 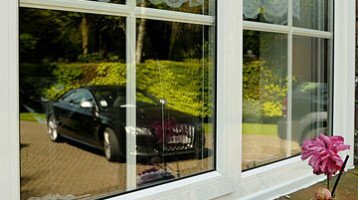 Last week I received my first enquiry to replace a french door and side windows following a robbery. As familiar as I am with the hardware and technology involved in modern windows systems, this was the first time I’d be going to look at a system that had actually been breached. I’ve seen lots of images and videos but nothing prepares you for the scene of devastation and the traumatised home-owners. I must say that I’m quite shocked that an insurance company asks their customer to find a reputable company to replace the ruined doors and windows – their customers are very upset and shaken by such an event and I would expect the insurer to do all these things for them! Anyway, twenty minutes after their phone call I arrived at their home and was surprised not to see an old window and door that would be typical of the neighbourhood but instead fairly modern PVCu ones. The locking system on the french doors had proved effective – the Scene of Crime officers had shown me all the attempts with a crow bar to pry the doors apart but they had proved very effective in staying closed. However, the successful method of entry used was to actually pry one of the opening window sashes out of its frame! The opening window sash did not have shoot bolts rising and dropping into the top and bottom of the frame, nor did the hinge side of the sash have any protection or anti-jemmy bolts. This made it very simple to insert a crow bar under the opening sash and pry it almost silently out of its frame. Upon closer inspection, the locking mechanism on the window did have good quality components and could still be classed as ‘multi-point locking’. However, we would not class this as such as only one of the four sides of the window is in fact secure. Cheam Windows employ a true ‘multi-point locking’ system that secures the locking side of the sash using expanding bolts, the top and bottom of the window using shoot bolts and finally (and the one a lot of companies forget) the anti-jemmy bolt on the hinged side. The robbery itself could have been performed fairly quietly so as not to disturb the neighbours to all three sides of this home. Securing the doors and windows with true ‘multi-point locking’ would have only left one more option for entry and that would be smashing through the double-glazed glass unit itself. The noise created by having to do so would deter many potential burglars! 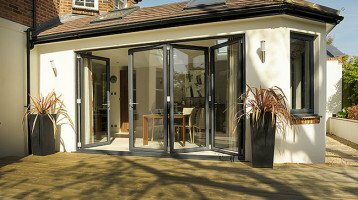 When considering windows and doors – DO check out the security features, treat it as importantly as the energy ratings and appearance. 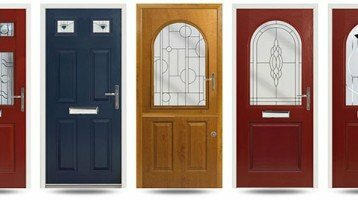 Come and visit one of our showrooms today and we’ll show you our window security – even if you’re not ready to buy yet, it’s worth knowing how good your current windows and doors are.